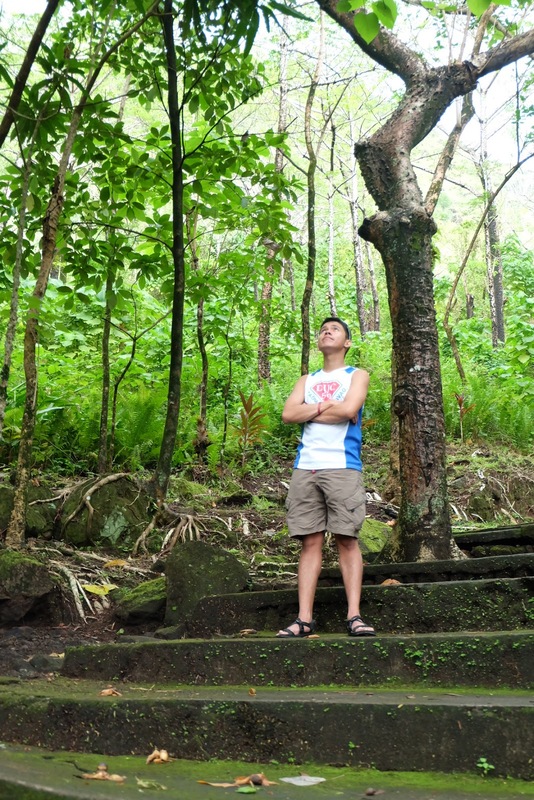 "Pursue one great decisive aim with force and determination"
In 2012 after I conquered my first major climb of 1200 masl at Mt Hibok-Hibok, my team and I paid visit to some tourist spots in municipalities of Mambajao and Catarman, Camiguin Island. On our visit in Catarman, we missed to scale up Mt Vulcan because we're already pressed for time. It was supposed to be the first pilgrimage site that I could have been to so imagine my dismay when all I can do is comply with the mandatory group photo before we head to white island. 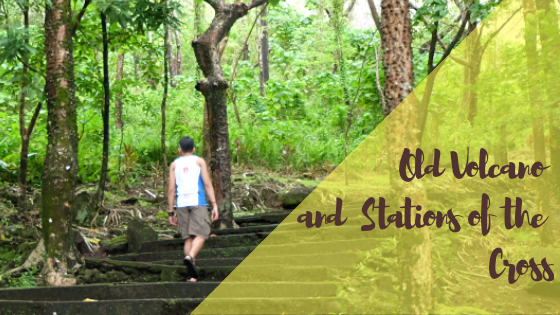 Since then, I promised to summit Walkway to the Old Volcano and Stations of the Cross. With the revival batch of Mindanao State University Mountaineering Club INc (MSU-MCI). 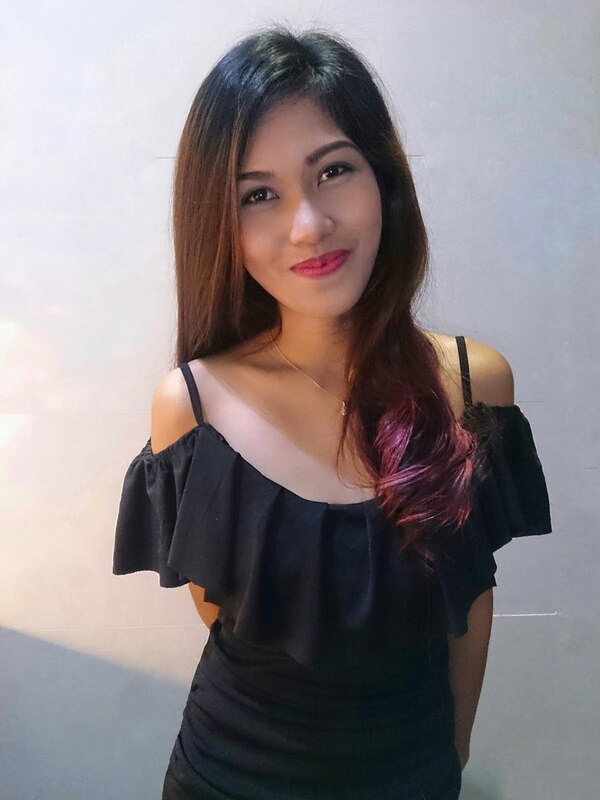 Photo taken on year 2012. As I am sharing this on blog now, I bet you already have the idea that I have fulfilled my promise. Well, yes and no. It is said that the best way to summit Mt Vulcan is via the Stations of the Cross. So on Sunday afternoon after our 3rd participation in Camiguin Marathon 32-32 km relay, Kenn and I agreed to have a leisure walk at Catarman. 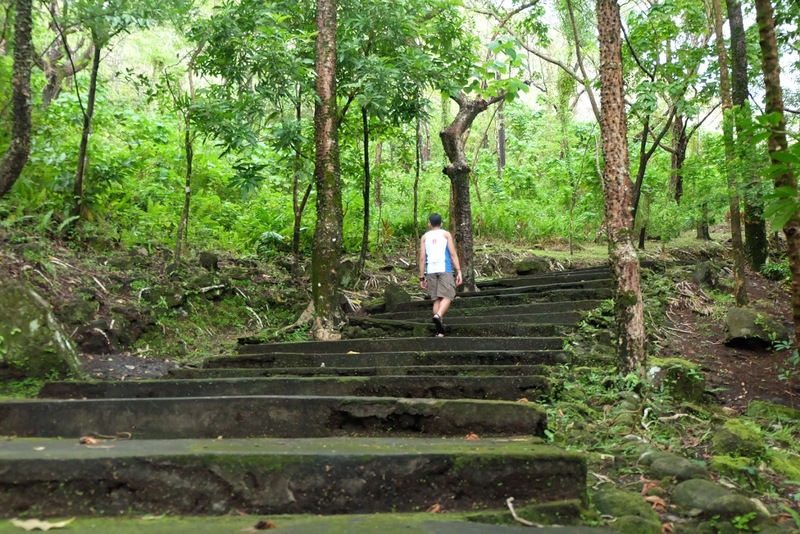 While we're there, I should say that trekking up the concrete stairs and on a well-maintained terrain, yes, I am fulfilling a self-promise but no, going all the way to the peak remained a dream as we only made it halfway due to time constraints (again!). Anyhow, that was a fun short climb. Mt Vulcan, ironically called as Old Volcano, is actually the youngest volcano in the island which was born on 1871, starting as a fissure vent (source). The explosive activity it brought has killed thousands of people as it destroyed and buried the village of Old Catarman. 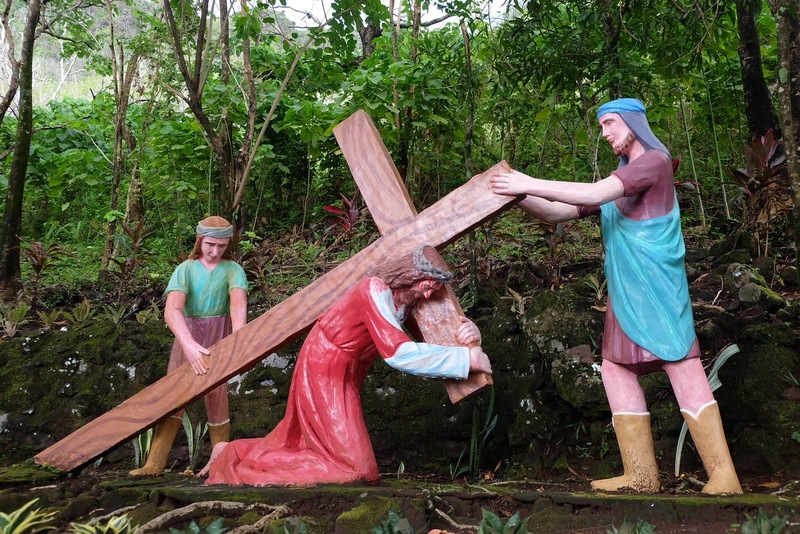 Centuries later after this rage, Stations of the Cross were erected along 8 km trail. 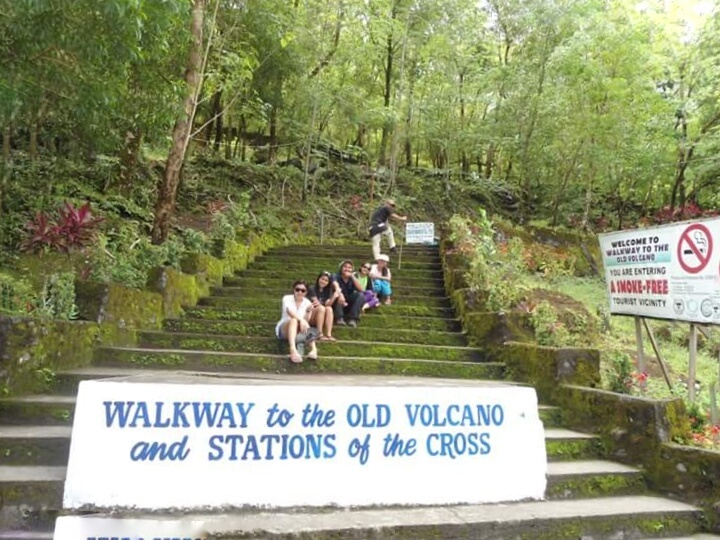 Named now as Walkway to the Old Volcano and Stations of the Cross, this site serves as the island's tourist destination and a Catholic pilgrimage site. Go to the municipality's public terminal. In Mambajao, the terminal is just near the mercado (public market). If unsure, ask for a local or a dispatcher for Catarman-bound jeepneys. Ususally, PUJs have route painted on the side though. Fee from Mambajao to Catarman is only P20.00.